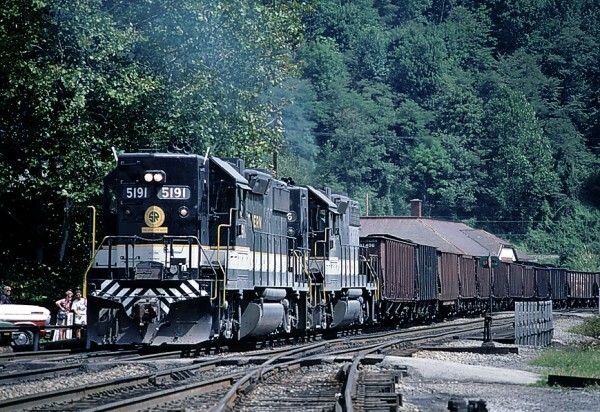 The 4th Mine Run pulling down into Appalachia, VA is lead by GP38-2 #5191. Photo Copyright © 1985 Ron Flanary. All rights reserved.